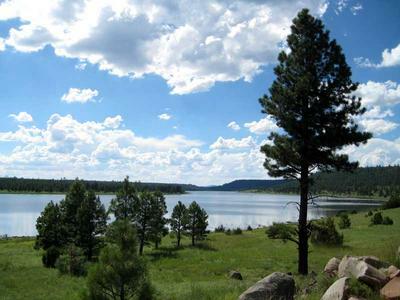 Ashurst Lake is located on Anderson Mesa, which is a beautiful place to camp in the Coconino National Forest. 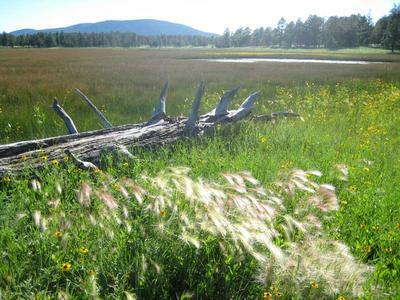 It’s a mix of pine forest, meadow, and lakes at around 7,000 feet and relatively flat. There are more quiet places to camp on the mesa. It’s very quiet and peaceful here on the weekdays, however there can be partiers on the weekends and some use the area for target practice. There are many ATVs on weekends as well. 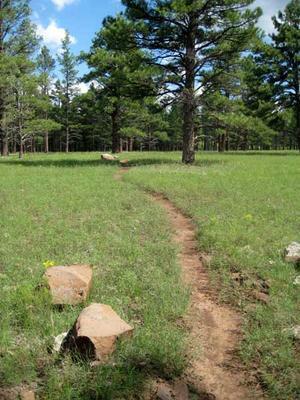 Directions: Take Lake Mary Road (Hwy 3) southeast from Flagstaff. Pass Lower then Upper Lake Mary, and turn left (east) onto FR-82, a gravel and washboard road leading to Ashurst Lake. There will be 3 camping areas with signs. Follow the road and watch for the signs. 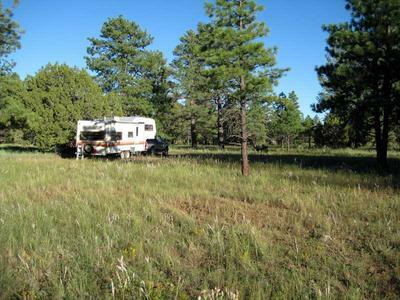 There are several great RV campsites in each camping area. No hookups of course, but there is a pay campground right next to Ashurst Lake if you prefer to be plugged in. It’s very open here and the trees are spaced far apart, which is good for my solar panel. There are many primitive roads to explore, and most aren't even shown on my forest service map. There are also many small lakes to see and the Arizona Trail passes right by here. You can hike the trail all the way to Utah if you head north, or Mexico if you go south. You can also fish in Ashurst Lake, but I have not yet. Insects aren’t too bad. There are many flies (which don’t bite) and a few mosquitoes (which do bite, but they’re very small). My Verizon cell phone and mobile broadband internet air card have been working great and the signal is strong. The weather has been nice with highs in the upper 70s into the 80s. It’s been mostly sunny. I had a few cloudy days and some storms, which is typical as it’s still monsoon season. When it rains roads get very muddy. I was on a bike ride to try and get close to Ducksnest Lake. I left the bike near a tree off the road and hiked to the lake. It began to rain when I got back to the bike. It didn’t take long for the road to become a gummy, muddy mess. Biking was impossible. Walking on the road was hard enough. I had to ditch the bike and hike back to camp. We had more rain today so I’ll have to wait till things dry out before hiking back to get my bike. It’s been very windy and cooler the last couple of days – looks like fall may be here soon. The road to Ashurst Lake is closed in winter. I imagine they get a fair amount of snow. Ducksnest Lake is quite a beauty. And with no roads leading to it (except for some faint tire tracks) it is very peaceful. The lake is situated in wide open country with a few trees off in the distance. Upon first seeing the lake, I thought it to be a mirage. I would not expect to find a lake here in the open grass. Thankfully there is a fence to keep the cows out. There are many, many cows out here on the mesa. It seems the whole state brings them up here for the summer! It does detract from the camping and nature experience. Think I’ll switch to eating pork and chicken! Overall an excellent place to camp with plenty to see and do, as long as you don't mind the moos.